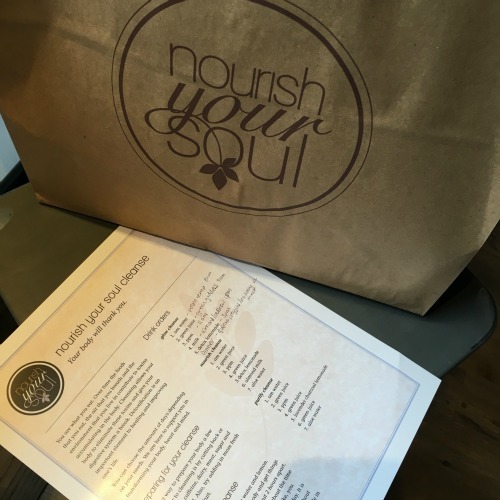 Yesterday, you read all about my experience trying a Nourish Your Soul cleanse. When I picked up the juices, Susan, Nourish Your Soul's owner, met up with me at their South Boston location (1 of 3 stores in the city) to talk more about cleansing and offer general tips. She also agreed to answer some questions for you all! Tell us about Nourish Your Soul and how you got started. I believe one moment can change one's life forever. One night more than ten years ago, I unexpectedly lost my husband of 10 years, my very best friend, and the father of my three girls. His heart just stopped. At age 37, I was left to raise my daughters and pick up life’s pieces while working in finance. Then in 2008 the economic crash hit, and I lost my 18-year career. -Resets your body helping you release old habits and make new ones. -Nourishes your body with nutrients which increases energy and mental clarity. -Improves digestion and eliminates bloat. -Helps to create awareness around the food we put into our body and how it makes us feel. -Boost in your immune system. In short, you are what you eat. Over time the foods that we consume, the air that we breath, and the environment we live in all contribute to toxins that accumulate in the body. Cleansing allows our bodies to eliminate these toxins and give our digestive systems a break from digesting food. Detoxification is an important element in healing and improving your life. What tips can you provide first-timers doing a cleanse? -Cleansing isn't about depriving yourself; above all listen to your body. -Supplement your cleanse with lots and lots of water. Lemon water will further detox you. During colder months, warm water with lemon is an excellent choice. -If you have withdrawal from caffeine, drink a small amount of black coffee or green tea to take the edge off. -If hungry, vegetable broth is a great addition in between juices. -If you feel you need to chew something, stick to cucumbers, carrots or other veggies. Most important is to take this opportunity to slow down, dig deep and not only clear your body, clear your mind and your life. I am trying the new glow cleanse which incorporates a small dinner meal; tell us why that's important. I designed this cleanse for those who said, I would never last on an all day juice cleanse!! It’s perfect for first-time cleansers who need to kick start healthier eating, or for those who don’t want to commit to a full day of cleansing. It’s designed to reset and detox the body, providing you with a glow from the inside out. Dinners should be easy to digest meals such as quinoa, salad, steamed veggies. Avoiding meat, dairy, processed foods and heavy meals. What's your favorite cleanse from Nourish Your Soul? I like the nourish cleanse. It provides you with vital nutrients that increase your metabolism, eliminate bloating, and increase energy and mental clarity but honestly, all three options will detox and help you reset. Now you can choose the one that fits into your lifestyle or needs. Thanks so much to Susan and Nourish Your Soul! Remember, you can take 10% off any Nourish Your Soul cleanse, smoothie, and/or juice online only using code: NYSLVJ10. Hurry ends tomorrow at 8:30am EST! PS: That chocolate almond milk pictured about is soooo good.